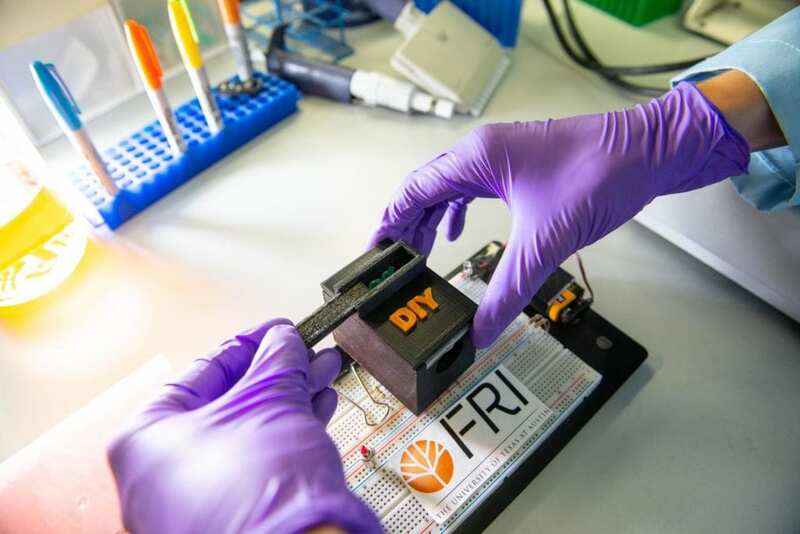 Because mosquitoes show no outward signs of having the bacteria – and because existing diagnostic tests are hard to read, expensive and logistically cumbersome – the new tool represents a significant step forward for those hoping to monitor the effectiveness of Wolbachia. Other researchers involved in the study were primary investigator Andrew Ellington, a professor of molecular biosciences and the associate director of UT Austin's Center for Systems and Synthetic Biology; Tim Riedel, the research educator for the DIY Diagnostics research stream of the Freshman Research Initiative; Nicole Pederson, a former DIY Diagnostics student; Miguel Saldaña and Shivanand Hegde of the University of Texas Medical Branch in Galveston; and Grant Hughes of the Liverpool School of Tropical Medicine. The project received funding from the National Science Foundation, the National Institutes of Health, the Centers for Disease Control, the John S. Dunn Foundation, the Bill and Melinda Gates Foundation and the Robert J. Kleberg, Jr. and Helen C. Kleberg Foundation.